Got an App/idea? Present it to industry leaders-Here’s how! Have you got that killer app that can take the world by storm? Got great ideas but need funds/help in executing them? Here’s an opportunity for you. IAMAI is organising 2nd edition of Mobile Application Developers’ Meet on 23 November 2010 at Vel Tech University at Chennai. As part of the seminar, IAMAI has scheduled for a session to promote application developers in the country. Each developer shall get 10 minutes to make a presentation. 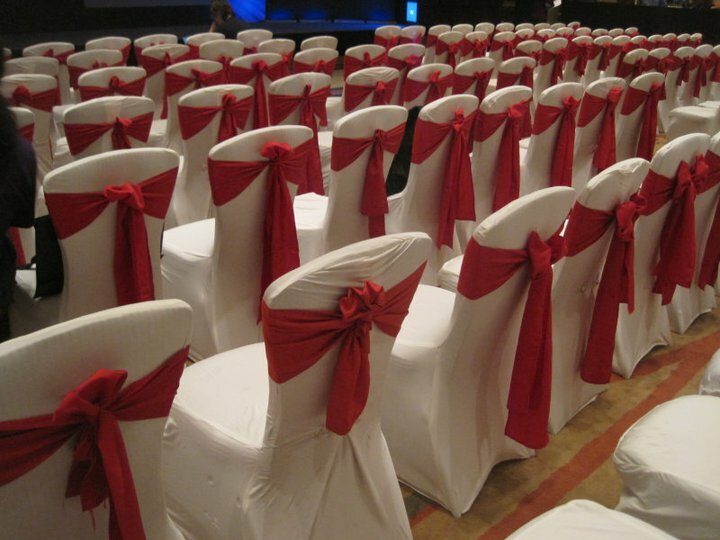 There shall be no fee charged to the presenting developer and his team to make the presentation or attend the seminar. In addition to making the presentation, IAMAI is also providing an opportunity to display your applications at the App room at the venue. Selected developers’ shall get to either make the presentation or display their apps at the app room. Mobile Application Developers may send in their entries to Mr Gaurav Chopra or Mr Kalyan Biswas at gaurav@iamai.in or kalyan@iamai.in respectively. Developers need to send a brief note (not more than 100 words) about their applications, video link/ website about the apps, Number of downloads/customer base, revenue model and current partners. Entries of only those applications must be sent which are live and running. The last date for submission is 19 November 2010. 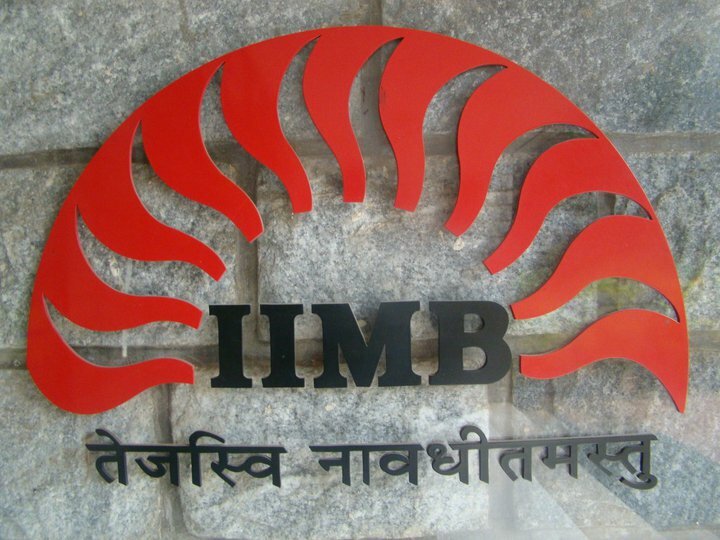 Now what has this man got to do with guest lecture at IIMB, you may ask? Well he is not restricted to just the above mentioned stuff. He currently teaches New Media at the Asian College of Journalism, Madras Advertising Club, SRM University and the International Institute of Journalism, Berlin. He is also into writing on technology. He currently authors a tech column at the New Indian Express and co-authors the NASSCOM Emerge blog. Phew!! 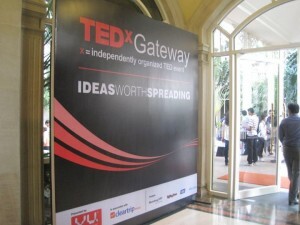 TEDxGateway was held on 30th October at ITC Grand Central, Mumbai. It was a great show and it was attended by Mr. Kiruba Shankar. The speaker line up was great! Ralph Simon- regarded as one of the founders of the modern mobile entertainment industry and heads the London-based Mobilium International Advisory Group. Professor Nandini Vaidyanathan- Passionate teacher who teaches entrepreneurship in several ivy -league business schools around the world. She is the founder of Startups (forstartups.blogspot.com)mentoring entrepreneurs across the world. 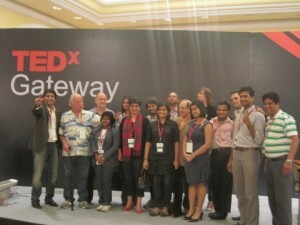 The audience were thrilled with the speakers and their ideas. Business Blogging wishes TEDxGateway congratulations for organizing such a great event! Mr.Kiruba Shankar, CEO of Business Blogging was recently inducted into IBM’s MasterMind program which gives easy access to IBM’s top brass as well as their latest technologies. He attended the Moblize Conference in Mumbai which showed IBM’s latest innovations in the mobile space.Here is a small case excerpt of how IBM’s innovation helped the Asian Paints. Asian Paints Limited, India’s largest paint company and is Asia’s third largest paint company, operating in 65 countries. It has been used on over thousands of houses, factories and automobiles since its inception in 1942. Owing to its large distribution network, 600 sales personnel and 25,000 dealers, it faced challenges in keeping track of customer expectations such as registering, checking complaint status and filing reports. Lack of an automated system led Asian Paints to manage these operations manually that further resulted in time delays. Asian Paints also had a need to provide its call center agents a software that integrates productivity tools based on open source technology with traditional Microsoft Office applications. The software needed to be pocket and user friendly. 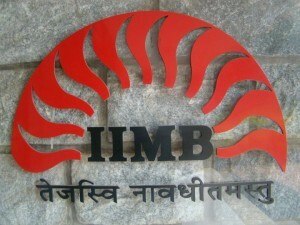 IBM India Software Lab (ISL) helped Asian Paints implement automated sales force software called MPower on palmtop computers using IBM Lotus Expeditor infrastructure. It helped the sales force to connect to data at the headquarters and execute tasks such as process sales order, check order status, check inventory in warehouse, take customer feedback and comments. It even made possible for sales managers to provide coaching online since information right from the start to the end of the deal is fed into the system. The software also let the salesperson to access and analyze the information on the move. To cater to the call center solutions, Asian Paints rolled out IBM Lotus Symphony software that integrated productivity tools based on open source technology with Microsoft Office applications at minimal cost. The benefits of these methods were immense. The implemented automated process accelerated the sales process, increased customer satisfaction due to the ability to process feedback in real time, coach employees, monitor employees progress, easy work environment for call center agents, minimized training demands on new call center employees and lowered total cost of ownership. It’s been over three months that I’ve been living with an Amazon Kindle. For those of you contemplating investing in an Amazon Kindle, this review would come in mighty handy. Amazon was one who practically created a market for eBook readers when they launched Kindle, very successfully way back in 2007. The first model was clunky but the technology was path breaking. The success of Kindle spawned an entire generation of rival products. In keeping with competition, the Kindle2 is a far improved product. The biggest advantage for ebooks like Kindle is that they use the E-Ink technology that closely mimics the printed paper. You are almost tempted to touch the screen and feel the roughness of the paper!